From master storyteller David Almond comes a gripping, exquisitely written novel about a hidden-away child who emerges into a broken world. Billy Dean is a secret child. He has a beautiful young mother and a father who arrives at night carrying the scents of candles and incense and cigarettes. Birds fly to his window. Mice run out from his walls. His world is a carpet, a bed, pictures of the holy island, and a single locked door. His father fills his mind and his dreams with mysterious tales and memories and dreadful warnings. But then his father disappears, and Billy's mother brings him out into the world at last. He learns the horrifying story of what was saved and what was destroyed on the day he was born, the day the bombers came to Blinkbonny. The kind butcher, Mr. McCaufrey, and the medium, Missus Malone, are waiting for him. He becomes The Angel Child, one who can heal the living, contact the dead, bring comfort to a troubled world. But there is one figure who is beyond healing, who comes looking for Billy himself - and is determined on a kind of reckoning. This tail is told by 1 that died at birth by 1 that came into the world in days of endles war & at the moment of disaster. He grew in isolayshon wile the enjins of destrucshon ?ew & smoke rose over the sitys & wile wilderness & waste crept all acros the world. He grew up with the birds & mise as frends. He wos a secrit shy & thick & tungtied emptyheded thing. He wos tort to read & rite & spel by his tenda littl muther & by Mr McCaufrey the butcha & by Missus Malone and her gosts. So he is not cleva so plees forgiv his folts & his mistayks. Mebbe you alredy no him. Mebbe you came to Blinkbonny & to Missus Malones door & into the parlor wer he told you of all the spirits that wer still arownd you and that stil lovd you even tho you thort they wer gon. Mebbe he roamd the afterlyf for you & sang for you & dansd for you & became the thing you thort youd lost the thing you lovd so much. With themes of sexuality, religion, war, and the exploitation of innocence, the novel is brilliant and troubling, moralistic, ambitious, and very accessible once you allow yourself into the world and language. (Reviewed by Sharry Wright). Billy's ability to find surreal beauty in strange things, such as the dead mice he lovingly dissects in his room, hearkens back to Almond’s treatment of Skellig and Heaven Eyes, and the message is also similar: wonder and loveliness can be recovered from the ashes of the festering evil. Starred Review. Challenging, sometimes bloody, but completely rewarding, this is an intense story of betrayal, reconciliation, and triumph. Ages 14–up. Starred Review. Billy [is] an absolutely unforgettable creation. One of the most critically acclaimed YA authors working today, Almond refuses to rest on his laurels, and here he delivers his finest book in years. Starred Review. Dark, unsettling and fluid as water, Almond's suspenseful tour de force considers the cycle of life, themes of war, God and godlessness, and, as ever, "How all things flow into each other. Ages 14+. The True Tale Of The Monster Billy Dean, first published in the UK in 2011 by Penguin's adult imprint, Viking, was reviewed as David Almond's debut for adults, but it was simultaneously released as a young adult novel by Puffin, another Penguin imprint. It is one of a growing number of books that straddles the borderlands of adult, young-adult, and middle-grade fiction while the adult audience for YA and MG literature continues to grow. 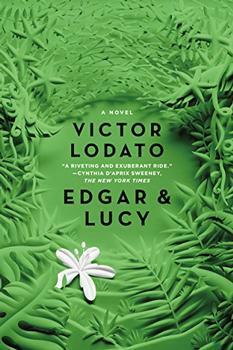 A new literary novel from Weissberg Award winning playwright and PEN USA Award for Fiction winning writer Victor Lodato, Edgar and Lucy is a masterfully written story of a broken family struggling to stay together.